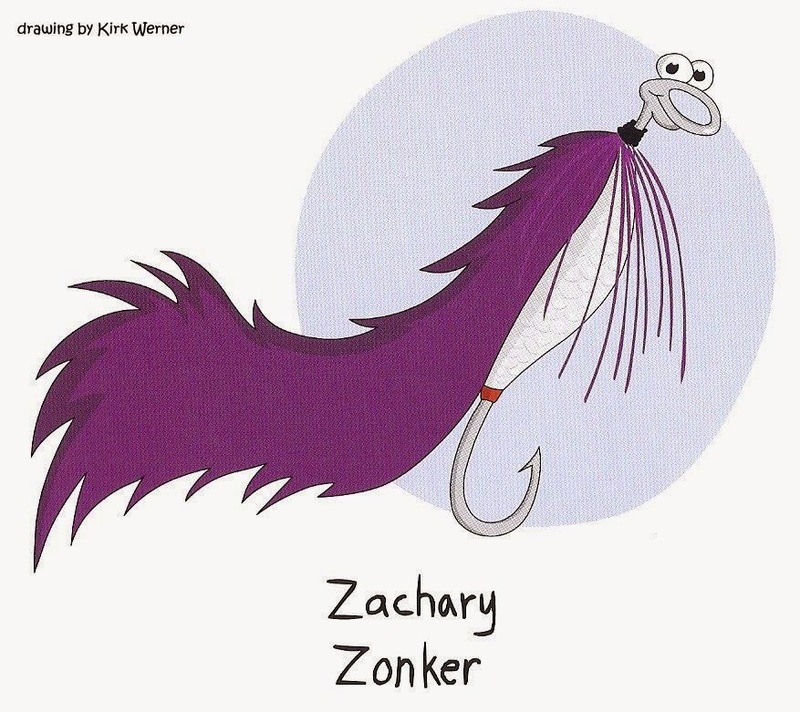 This is a second life for Zachary the Purple Zonker. This time it is a laminated business card with the tracking code displayed prominently on the face of the card and a message on the back. In the first life, this travel bug was a piece of paper inside a film canister, yellow body, blue top, attached to an actual TB. I launched Zachary the first time in Myrtle Beach, SC in June 2010. It disappeared sometime in 2012 after having logged 4,736 miles and 215 posts. I pulled back the travel bug number and relaunched Zachary in GC4652A, The Camo Bug Inn, in Titusville, FL on 14 Dec 2014. I guess there is some slim chance that the original might show up. Dan Byford of Colorado came up with the design for the Purple Zonker in 1974. It is one of the modern American Rabbit-lure patterns taken from the original Rabbit flies introduced from New Zealand. The Zonker is used for all species of trout as well as large and small-mouth Bass. It can be used in either lakes or streams. Zachary is one of twelve characters created by artist Kirk Werner for three books designed to introduce children to fly fishing.